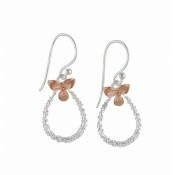 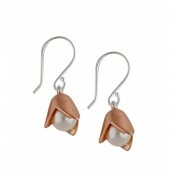 With their opulent finish, these rose gold plated sterling silver earrings are a charming option. 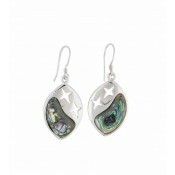 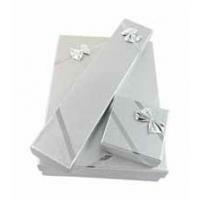 Each one features a small teardrop charm upon which sits a Mother of Pearl addition. 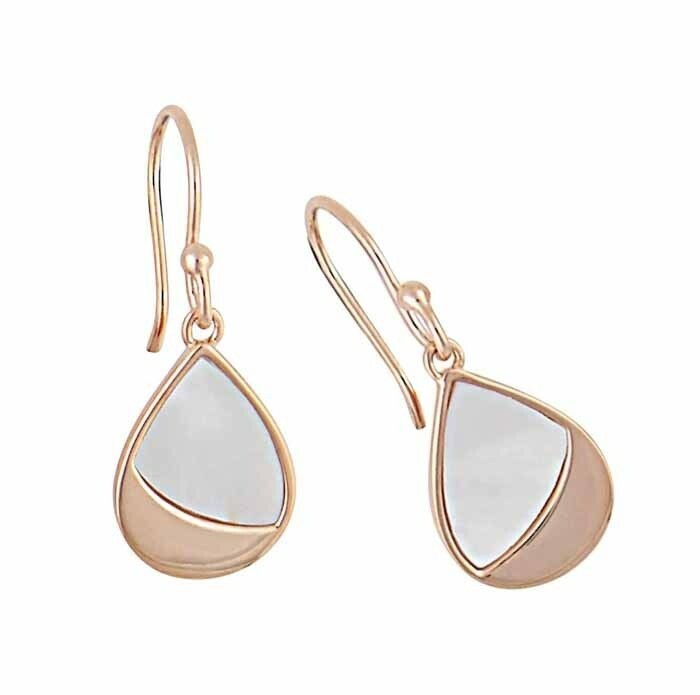 Shimmering with its unique manner, it adds glamour to your outfit while simple hook fittings allow them to sit comfortably all day long.